The Pound Australian Dollar (GBP/AUD) exchange rate is down today and is currently trading around $1.8108 on the inter-bank market. 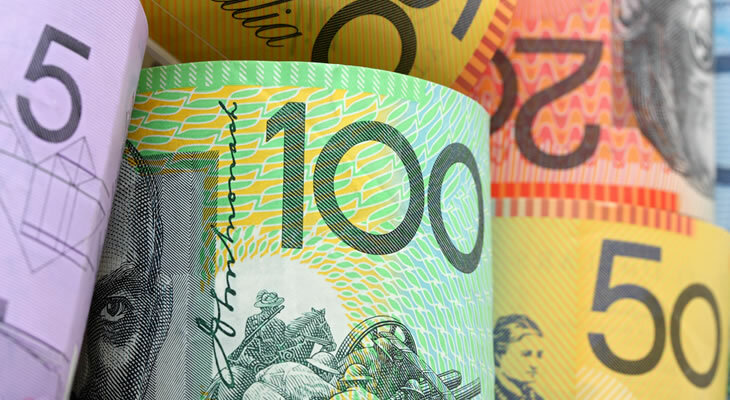 The Australian Dollar (AUD) benefited today following promising figures from the Westpac Consumer Confidence index for February, which rose above expectations by 4.3%. This optimism, however, was clipped by yesterday’s publication of Australian home loans figures for December, which fell well below expectation by -6.1%. The Pound, meanwhile, was hit by disappointing year-on-year UK CPI figures for January today, which fell to a worse-than-expected 1.8%. These were also followed by the publication of the UK retail price index figures for January, which also fell below expectation by -0.9% – further dampening market confidence in Sterling. The ‘Aussie’ has also benefited today over renewed optimism relating to US-China trade discussions, after US President Donald Trump suggested he could potentially extend the 1 March ‘trade truce’ deadline. AUD benefited against Sterling as investors took a generally risk-on tone on the news that the US and China could once again engage in constructive trade talks. The Australian economy is heavily reliant on China, and this news has benefited the AUD/GBP exchange rate. Meanwhile in Brexit news, UK Prime Minister Theresa May is facing increasing pressure after her chief Brexit negotiator, Olly Robbins, was head in Brussels discussing a possible extension to Article 50 if her deal is rejected. This has buoyed some GDP traders’ confidence, as any signs of an extension increases the possibility of a deal being settled between the EU and the UK. ‘Aussie’ traders will be looking ahead to the publication of Australia’s consumer inflation expectations figure for February tomorrow, with any signs of an increase potentially buoying the AUD/GBP exchange rate. Tomorrow will also see a raft of Chinese data releases, with AUD investors paying particular note to China’s trade balance figures for any signs of recovery in its struggling economy. GBP investors, meanwhile, will be looking ahead to tomorrow’s printing of the RICS housing price balance figures for January, which are expected to decrease. The GBP/AUD exchange rate is likely to be directed by ongoing Brexit developments this week, with any further signs of an extension to the Brexit process likely to see Sterling rise.